In 2014, people bought 38.5 million used cars and 16 million new cars, and analysts expect even stronger car sales by the end of this year. Needless to say, this is great news for car dealers. Even the great Warren Buffet sees the value in the car dealership business! “Buffett has described car dealerships that are run well as ‘a very good business.’ In an interview with Fortune magazine…he noted dealerships ‘have no receivables to speak of, you floor-plan your inventory, you can lease your real estate….So you can have very little capital actually invested in the business, and you do a large volume. '” Check out the whole interview in the video below. Owning a car dealership, like any small business, comes with its own set of costs…inventory being just one of many. To help with those costs and grow your car dealership to be as profitable and successful as possible, you should consider a small business loan. However, knowing what you’re qualified for and which financing option best suits your small business needs can be tricky. Silver Rock Funding is a great option for car dealers looking to grow their business because Silver Rock Funding has a network of lenders that help small business owners find the loans they need. Whether you need to purchase inventory or expand your operation, Silver Rock Funding can provide you the quick and easy access to the capital you need, even if your might have bad credit. Silver Rock Funding will work to help get your dealership the cash flow it needs for whatever the need…whether it’s remodeling, expanding or something else. If you don’t already own a car dealership, but you’re interesting in entering the business, check out this article with seven tips for starting your own car dealership. 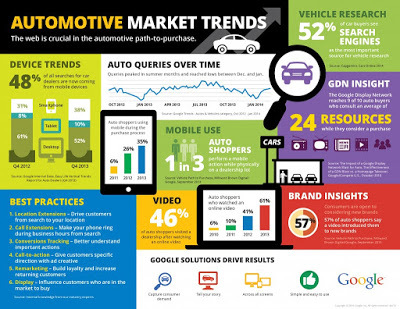 The infographic above also outlines some of the current trends in the automotive market, which is crucial information when starting a business.